Dedicated in memory of Hennoch and Estera Ryba (née Jakubowicz) of Lodz, Poland who perished in the Shoah. Remembered by their grandson and great-grandchildren. May their memory be a blessing. Brit is one of the most important words in the whole of the Jewish religious vocabulary. It means in essence “religion” and implies a relationship between God and man, a dialogue. So that for those for whom God is only an ideal, or an abstraction, rather than a living reality, it is absurd even to speak about brit, as it is valid only in the context of God as Elokim Chayim (a living God), who engages the heart and mind of men. Similarly, the word “religion” derives from the old French and Latin “relegare,” which means “to bind, to hold tight.” Thus, both words mean to forge a close bond between God and man. How an individual reacts to brit, how he conceives and approaches it, tells us about the quality of his religious experience. Regrettably, for some people, brit means a form of barter, a religious bargain that one strikes, whereby man approaches God on infrequent occasions and proposes a form of religious haggling or spiritual commerce: “I will give charity, You take care of my portfolio”; “I will fast on Yom Kippur, You will provide me with health”; “I will recite the Yizkor, You take care of my family until the next such occasion.” This is akin to paganism and a distortion of Judaism – no matter how prevalent it is. For others, brit means not “barter,” but “contract.” Admittedly, this interpretation does not limit meeting God to rare moments. It understands that the dialogue between God and man must be on-going – but it is still only a contract and shares many of the same misunderstandings. Its underlying and unspoken presupposition is that man acts in certain decent ways only because in this manner he will receive certain rewards. Now, while it is true that we Jews believe in reward for virtue and ultimate punishment for vice, we cannot base our religious experience squarely upon this concept. Our rabbis taught: “Do not be like servants who serve the Master only on condition of receiving reward.” The “contract” interpretation, although more advanced than “barter,” is still not enough of a relationship. Rabbi Dr Norman Lamm, former Chancellor and President of Yeshiva University and Rosh HaYeshiva of Rabbi Isaac Elchanan Theological Seminary, is one of the most gifted and profound Jewish thinkers of our time. 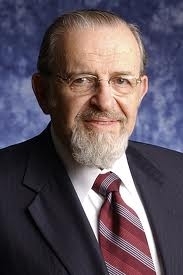 He is a prolific author in the field of Jewish philosophy and law and a distinguished academician. 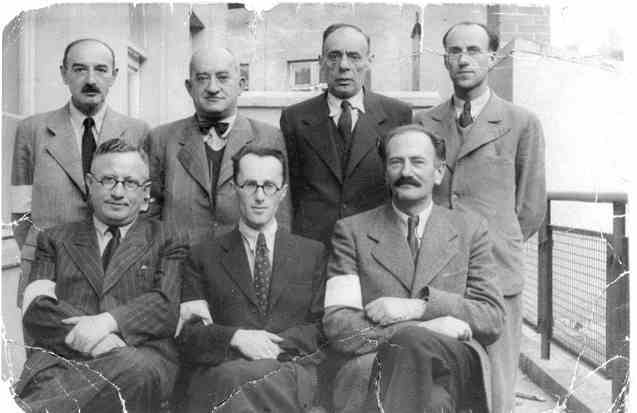 Day 38 – The Germans ordered that each ghetto be run by a Judenrat (Jewish council) consisting of Jewish community leaders, with the first order for the establishment of such councils contained in a letter dated 29 September 1939 from Heydrich to the heads of the Einsatzgruppen. 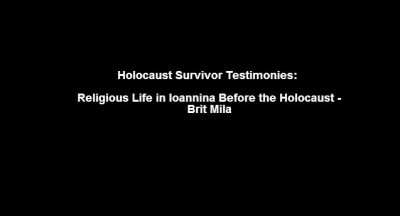 Holocaust survivor Peniel Cohen recalls Jewish religious life and the Brit Mila (circumcision) ceremony in Ioannina before WWII.